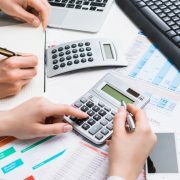 If you are an accountant or an accounting firm looking for helpings hands in London to help you overcome the workload and stress of the tax season, then Affinity Outsourcing, welcomes you to explore the option of our rewarding accounting outsourcing services. 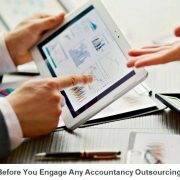 With more than 30 years of industry experience, Affinity Outsourcing is well known for offering professional and error free accountancy outsourcing services to businesses in London. 1. 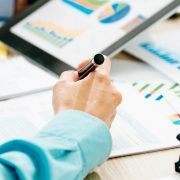 Reduce Your Workload: Accountants are usually occupied throughout the years, and when the tax season starts, they are under immense workload and stress to finish the work before the deadline. Our outsourcing services are designed to set your free from the workload and stress by offering you precise accounting services. 2. Time Saving: When you don’t have to occupy yourself in any sort of accounting tasks, you will be free enough to focus on the ways to expand your business and client base. 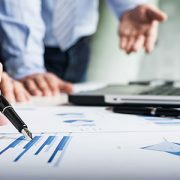 You can focus on core business activities and leave all your accounting related tasks upon us. 3. Business Continuity: No more worries about covering periods of absence due to holiday and sick leaves. There’s a team of experienced accountants at Affinity available to assist you at any point of time to ensure your business operates uninterrupted. 4. 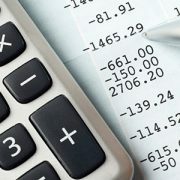 Our Services are Cost Effective: We are more economical than hiring an in-house accountant or a bookkeeper. Moreover, you are free to add or remove the resources as and when required as per your requirements. 5. Flexible Hiring Modules: You can scale our services up or down in line with your accounting needs as your business grows. Moreover, during the tax season, we also allow our clients to hire more employees on the hourly basis and release them once the tax season is over. 6. We are Responsive: We don’t leave any email or query unanswered. 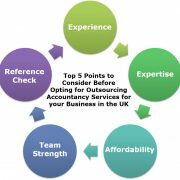 You have instant access to knowledgeable and experienced London based accounting and bookkeeping experts who will answer your questions. We would love to assist you at any point of time. 7. Day-to-Day Reporting: We always send a day-to-day report to our clients. Moreover, we can also create the management reports you need for your head office in the format they specify. We will take care of complexities of group reporting such as currency conversion, transfer pricing and intercompany debt. 8. No Missed Deadlines: As we are on your side at every point of time, there are no chances of missing any deadlines. Our dedicated team work to your deadlines, not ours. Whether you an accountant or an accounting firm, our comprehensive offering of outsourced accounting and bookkeeping services can help you run your day to day operations more efficiently and cost effectively. 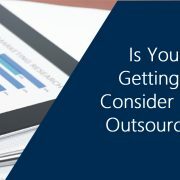 All the work produced by Affinity Outsourcing is guaranteed to be of the highest quality, guaranteed to be completed on time and guaranteed to improve your profit margin. Contact Affinity Outsourcing to find out how we can help you run and grow your business. Click here http://affinityoutsourcing.net for a free consultation and to kick start your risk-free trial. 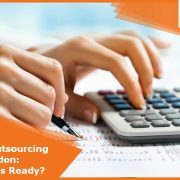 If you are an accountant or an accounting firm looking for helpings hands in London to help you overcome the workload and stress of the tax season, then Affinity Outsourcing, welcomes you to explore the option of our rewarding accounting outsourcing services.